Lovely Victorian, stylish and comfortable two bedroom Self Catering Apartment. 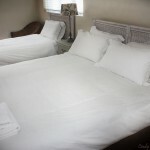 Rooms are bright and clean with a very short walk to Saunders Rock Beach. Bantry Bay is a neighborhood with up-scale housing. Mornings in the area are commonly started by walking to a coffee shop or a small grocery store that serves Latte's and variety of bagels. Bantry Bay is the perfect base from which to explore Cape Town. It is conveniently located close to Cape Town City Centre, the Victoria and Alfred Wharf (V&A), and the Table Mountain Cable Car.